Last Friday I picked up the october issue of glamour, and on the cover is gwen stefani with white nails. 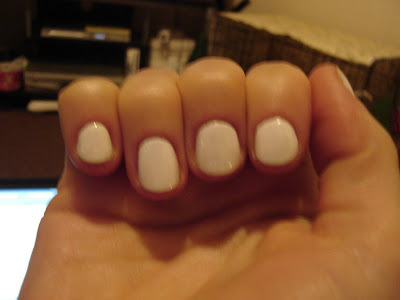 I've tried white nails before, but the application just wasn't smooth, it went on streaky and reminded me of white-out! 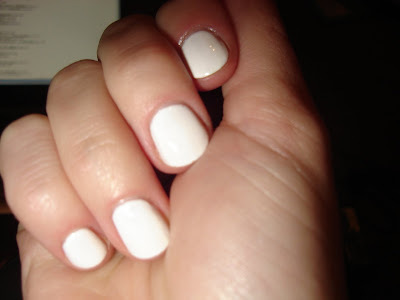 So I figured I'd give it another try, and went out and bought opi alpine snow. I wish I had bought this from the start, it goes on smooth, and the white looks high fashion, not like I slapped it on at recess! I've been using Alpine Snow for several months and I'm still in love with it. Gorgeous!